Eskata is a topical, non-invasive treatment option to clear raised seborrheic keratoses (SKs) with a low risk of scarring. It is the first FDA-approved topical treatment for SKs. Retin-A Micro gel microsphere 0.06% launched for topical application in the treatment of acne vulgaris. Clinical data show 98.7 percent and 94 percent of patients found Retin-A Micro to be tolerable. Retin-A Micro gel microsphere 0.06% features a unique microsponge delivery system technology that helps to control the release of tretinoin and improves photostability, even when used in conjunction with benzoyl peroxide. A pump delivery system allows for controlled dispensing and consistent dosing. The FDA approved Ilumya for the treatment of adults with moderate to severe plaque psoriasis who are candidates for systemic therapy or phototherapy. Ilumya selectively binds to the p19 subunit of IL-23 and inhibits its interaction with the IL-23 receptor, leading to inhibition of the release of pro-inflammatory cytokines and chemokines. Ilumya is administered at a dose of 100mg by subcutaneous injection every 12 weeks, after the completion of initial doses at weeks 0 and 4. The FDA approval of Ilumya for the treatment of adults with moderate to severe plaque psoriasis was supported by data from the pivotal Phase 3 reSURFACE clinical development program. In the two multicenter, randomized, double-blind, placebo-controlled trials (reSURFACE 1 and reSURFACE 2), 926 adult patients were treated with Ilumya (N=616) or placebo (N=310). Both Phase 3 studies met the primary efficacy endpoints, demonstrating significant clinical improvement with Ilumya 100mg compared to placebo when measured by PASI 75 and Physician's Global Assessment (PGA) score of “clear” or “minimal” at week 12 after two doses. Of patients in the reSURFACE 1 study, 74 percent achieved 75 percent skin clearance at week 28 after three doses, and 84 percent of patients who continued receiving Ilumya 100mg maintained PASI 75 at week 64 compared to 22 percent of patients who were re-randomized to placebo. In addition, 69 percent of patients receiving Ilumya 100mg who had a PGA score of “clear” or “minimal” at week 28 maintained this response at week 64, compared to 14 percent of patients who were re-randomized to placebo. The FDA approved Tafinlar in combination with Mekinist for the adjuvant treatment of patients with melanoma with BRAF V600E or V600K mutations and involvement of lymph node(s), following complete resection. Restylane Lyft is the first hyaluronic acid (HA) injectable gel FDA cleared for use on the dorsal hands of people older than 21. 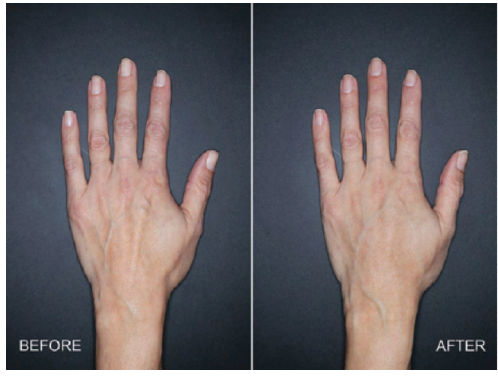 Actual user (clinical trial subject) treated with 3mL of Restylane Lyft in the left hand. 4 weeks after treatment. Clearance was based on a multi-center, randomized, evaluator-blinded, split-hand study investigating safety and efficacy of Restylane Lyft for use in the dorsal of the hands. Eighty-nine patients aged 22 and older were enrolled in the trial. The study met its primary endpoint, showing a clinically meaningful improvement in the correction of volume deficits of treated hands for up to six months. Restylane Lyft was shown to be safe and well-tolerated for the correction of volume deficit in the dorsal hand. The FDA also approved the use of Galderma's Restylane Lyft with a small, blunt-tip cannula for cheek augmentation and the correction of age-related midface contour deficiencies in patients over the age of 21. This approval is the second cannula indication for the Restylane family of dermal fillers. Restylane Silk for lip augmentation and Restylane Lyft for the midface are the only hyaluronic acid-based fillers on the market that are FDA-approved for use via cannula. The FDA approved Cimzia to treat adults with moderate to severe plaque psoriasis. Cimzia is the first Fc-free, PEGylated anti-TNF treatment option for this indication and marks the entry of UCB into immuno-dermatology. The International Society of Hair Restoration Surgery (ISHRS) has updated the terminology of the hair transplantation method known as FUE from Follicular Unit Extraction to Follicular Unit Excision. The ISHRS explains that this change is driven by the need to emphasize the actual surgical aspect of the procedure, especially among patients in countries where the term “extraction” has non-surgical implications. The group says it has received worldwide support and acceptance for the change from hair restoration surgeons. The FDA approved Qbrexza cloth, an anticholinergic, for the topical treatment of primary axillary hyperhidrosis in adult and pediatric patients nine years of age and older. Qbrexza is applied directly to the skin and is designed to block sweat production by inhibiting sweat gland activation. Approval is based on results from two Phase 3 clinical trials, ATMOS-1 and ATMOS-2. Both trials assessed the absolute change from baseline in sweat production (the weight or amount of sweat a patient produced) following treatment with Qbrexza and the proportion of patients who achieved at least a four-point improvement from baseline in their sweating severity, as measured by the Axillary Sweating Daily Diary (ASDD), Dermira's proprietary patient-reported outcome (PRO) instrument. Braftovi (encorafenib) with Mektovi (binimetinib), Array BioPharma Inc. The FDA approved Braftovi capsules in combination with Mektovi tablets for the treatment of patients with unresectable or metastatic melanoma with a BRAFV600E or BRAFV600K mutation, as detected by an FDA-approved test. Braftovi is not indicated for the treatment of patients with wild-type BRAF melanoma. Braftovi and Mektovi are available to order through select specialty pharmacies in the US market. The approval is based on results from the Phase 3 COLUMBUS trial, which demonstrated the combination doubled median progression-free survival (mPFS) compared to vemurafenib, alone (14.9 months versus 7.3 months, respectively). Only five percent of patients who received Braftovi + Mektovi discontinued treatment due to adverse reactions. Braftovi + Mektovi reduced the risk of death compared to treatment with vemurafenib 960mg daily in the planned analysis of overall survival (OS) from the COLUMBUS trial. Median OS was 33.6 months for patients treated with the combination, compared to 16.9 months for patients treated with vemurafenib as a monotherapy. These positive results add to the growing body of clinical evidence supporting the BRAF/MEK inhibitor combination therapy and Array and its partners are working to formally submit these results with global regulatory authorities. Cimzia (certolizumab pegol), UCB. The FDA has approved a label update that includes pharmacokinetic data showing negligible to low transfer of Cimzia through placenta and minimal transfer to breast milk from mother to infant. Approximately 17 percent of patients in the US with rheumatoid arthritis (RA), ankylosing spondylitis (AS), psoriatic arthritis (PsA), and Crohn's disease (CD) are women aged 18-45, according to UCB. Taltz (ixekizumab), Eli Lilly. The FDA has approved a label update for Taltz injection 80mg/mL to include data in psoriasis involving the genital area—the first treatment FDA approved for moderate to severe plaque psoriasis that includes such data in its label. The label update is based on positive results from the first randomized, double-blind, placebo-controlled study in moderate to severe psoriasis involving the genital area. Taltz demonstrated a significant improvement in multiple measures compared to placebo at 12 weeks in the severity of psoriasis affecting the genital area. Cosentyx (secukinumab), Novartis. The FDA approved a label update for Cosentyx, the first interleukin-17A (IL-17A) antagonist approved to treat moderate to severe plaque psoriasis. The updated label includes Cosentyx data in moderate to severe scalp psoriasis from a dedicated Phase III scalp psoriasis trial, showing that approximately half of all 125 million patients with psoriasis may suffer from scalp psoriasis. The FDA also approved a label update for Cosentyx (secukinumab) from Novartis, including data that show the treatment significantly slows the progression of joint structural damage at Week 24 versus placebo in those with active psoriatic arthritis. The data will be added to the drug's prescribing information and is effective in the US immediately. The update to the prescribing information is based on data from FUTURE 5, the largest Phase 3 study for a biologic done in PsA to date (996 patients). In the study, participants with active PsA were randomized to receive Cosentyx 300mg with loading dose (LD), 150mg with LD, 150mg without LD, or placebo. All groups received Cosentyx or placebo at baseline, weeks 1, 2, 3, and 4, and then every four weeks. At week 16, placebo non-responders (patients with <20 percent improvement from baseline in tender or swollen joint counts) were switched to Cosentyx 300mg or 150mg; remaining placebo patients were switched at week 24. The primary endpoint was ACR20 at week 16, and the key secondary endpoint was radiographic structural progression, as measured by mTSS, assessed by two blinded readers, based on hand/wrist/foot X-rays obtained at baseline, week 16 (non-responders), and week 24. The FDA approved Ortho Dermatologic's Altreno lotion, indicated for the topical treatment of acne vulgaris in patients aged 9 and up. In trials, Altreno lotion resulted in statistically significant reductions in both inflammatory and non-inflammatory lesions compared to vehicle. In the population of patients treated in these studies, patients treated with Altreno saw a mean absolute reduction of 13.1 and 13.9 in inflammatory lesions in trials 1 and 2, respectively, compared to 10.6 and 10.7 in patients treated with vehicle. In addition, those treated with Altreno saw a mean absolute reduction of and 17.8 and 21.9 in non-inflammatory lesions in trials 1 and 2, compared to 10.6 and 13.9 in patients treated with vehicle. Also at Week 12, 16.5 percent and 19.8 percent of patients in trials 1 and 2, respectively, achieved treatment success (at least a 2-grade improvement in global severity by Evaluator Global Severity Scores and ‘clear' or ‘almost clear') with tretinoin 0.05% lotion, compared to only 6.9 percent and 12.5 percent with vehicle. Nuzyra (omadacycline), Paratek Pharmaceuticals, Inc. The FDA approved Nuzyra for the treatment of adults with community-acquired bacterial pneumonia (CABP) and those with acute skin and skin structure infections (ABSSSI). Nuzyra, a modernized tetracycline, is a once-daily IV and oral antibiotic that exhibits activity across a spectrum of bacteria, including Gram-positive, Gram-negative, atypicals, and drug resistant strains. The company plans on making Nuzyra available in the first quarter 2019. EmSculpt, BTL Aesthetics. BTL launched Emsculpt and Emsella featuring HIFEM technology for abs and buttocks and for strengthening the pelvic floor, respectively. Emsculpt treatment of the abdomen is akin to doing 20,000 sit-ups in 30 minutes. Treatments are administered twice weekly for two weeks. Juliet, Secret RF, and truSculpt iD, Cutera. Cutera introduced devices to its laser and energy-based device offerings. Juliet is a minimally invasive, no-downtime treatment that utilizes Er:YAG laser technology to deliver two modes of energy to the vaginal area. The first mode stimulates the remodeling of collagen and the second mode stimulates the damaged tissue. Patients experience improved sexual function and an overall improvement in vaginal health. Secret RF is a fractional radiofrequency (RF) microneedling device that remodels collagen, improves mild wrinkles, and diminishes scars on all skin types. 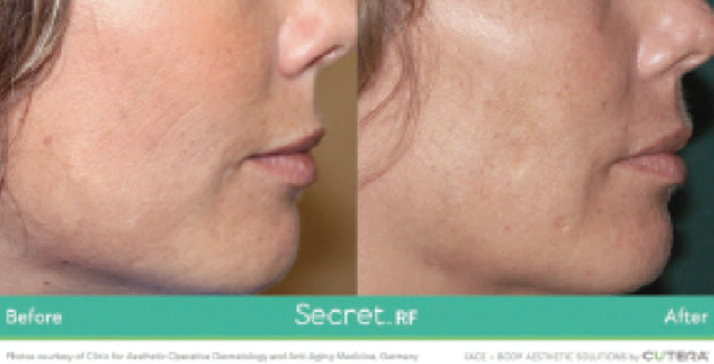 Secret RF technology has customizable microneedle tips and two specialized handpieces to treat both the face and body. The non-surgical, in-office treatment typically takes approximately 15 minutes to complete. Many patients see improvement after the first treatment, with optimal results seen after three treatments. A non-surgical body sculpting system, truSculpt iD uses innovative monopolar radio frequency (RF) technology to selectively target fat and therapeutically heat it until fat cells are slowly removed and excreted through the body naturally. Penetrating deep to treat the entire fat layer from skin to muscle, truSculpt iD is clinically proven for permanent fat cell destruction. With real time temperature control working to provide consistent results, studies have shown an average fat reduction of 24 percent, with patients seeing improvements six to 12 weeks following the first treatment. Tempsure Envi, Cynosure. TempSure Envi, FDA-cleared advanced radio frequency device, heats the deep layers of skin to regenerate collagen and improve the appearance of cellulite and wrinkles associated with forehead lines, frown lines, crow's feet, smile lines, and wrinkles on the chin. Treatments are safe for all skin types and require no downtime, lasting between 30 and 60 minutes based on the area treated. TempSure Envi comprises Therapeutic Logic Control (TLC)—a system that links treatment time with target temperature, allowing for consistent treatment temperatures and high patient comfort levels. Vbeam Prima, Candela. The Vbeam Prima from Candela offers two wavelengths to effectively treat a broad range of skin conditions including rosacea, spider veins, wrinkles, acne and more. Vbeam Prima's re-designed 595 nm PDL system boasts an assortment of new features including: an additional 1064 nm wavelength to treat deep blue veins and minimize the appearance of wrinkles; increased maximum fluence and larger spot size; contact and spray cooling; once-a-day calibration, and extended dye life. Arvati Platform, Thermi. Arvati is a next-generation 510k FDA-cleared, true temperature-controlled radiofrequency platform that powers a range of Thermi procedures including ThermiTight, ThermiRase, ThermiSmooth Face, and ThermiVa. Arvati delivers rapid, precise, and consistently controlled output of radiofrequency to tissue to induce positive tissue change by stimulating collagen production to enhance various skin areas. The platform is built upon increased power as well as optimized two-way real time temperature-controlled algorithms. NuEra Tight, Lumenis. Lumenis has launched NuEra tight, a non-invasive, intelligent temperature-controlled technology for both superficial and deep heating that treats a variety of conditions, such as skin laxity and the appearance of cellulite. The FDA-cleared technology is able to target problematic areas around the abdomen, flanks, buttocks, inner and outer thighs, upper arms, elbows, knees, bra and back fat, as well as around the eyes, mouth, cheeks and neck with powerful, temperature-controlled RF technology. Seysara (sarecycline) is a first-in-class tetracycline-derived oral antibiotic, approved for the treatment of inflammatory lesions of non-nodular moderate to severe acne vulgaris in patients nine years of age and older. Almirall, which acquired Seysara from Allergan, plans to launch the drug in January 2019. Seysara is an oral tablet that is taken once daily with or without food. It has proven significant reduction of inflammatory lesions as early as three weeks after start of treatment and is generally safe and well tolerated. “As dermatologists we are always seeking ways to improve the management of our patients' disease. The results of the studies are encouraging, with statistically significant efficacy vs placebo as early as three weeks. 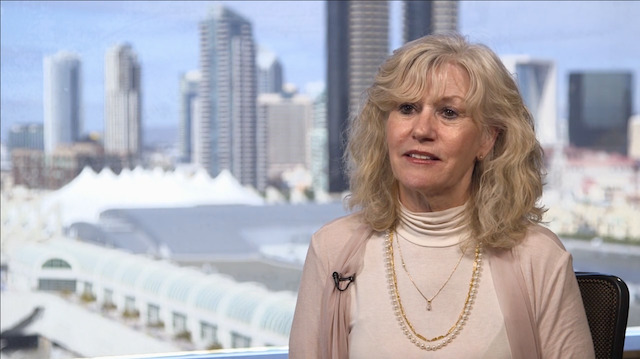 I'm looking forward to having this as an option for my patients when it becomes available in 2019,” says Leon Kircik, MD, who participated in clinical trials for Seysara. Libtayo (cemiplimab-rwlc) injection is FDA-approved for intravenous use for the treatment of patients with metastatic cutaneous squamous cell carcinoma (CSCC) or locally advanced CSCC who are not candidates for curative surgery or curative radiation. This is the first FDA approval of a drug specifically for advanced CSCC. Libtayo targets the cellular pathway known as PD-1 (protein found on the body's immune cells and some cancer cells). By blocking this pathway, the drug may help the body's immune system fight the cancer cells. Proscia, a pioneer in the development and advancement of digital pathology, recently closed an $8.3 million round of Series A financing from a group of East and West Coast venture capital firms. Proceeds from the financing will be used to expand the deployment of the company's digital pathology software and accelerate the use of artificial intelligence (AI) applications to drive accuracy and efficiency in cancer diagnosis. Proscia will also use the funds to ramp up sales and marketing of its existing cloud-based digital pathology platform, which will serve as the foundation for Proscia's AI-based applications. 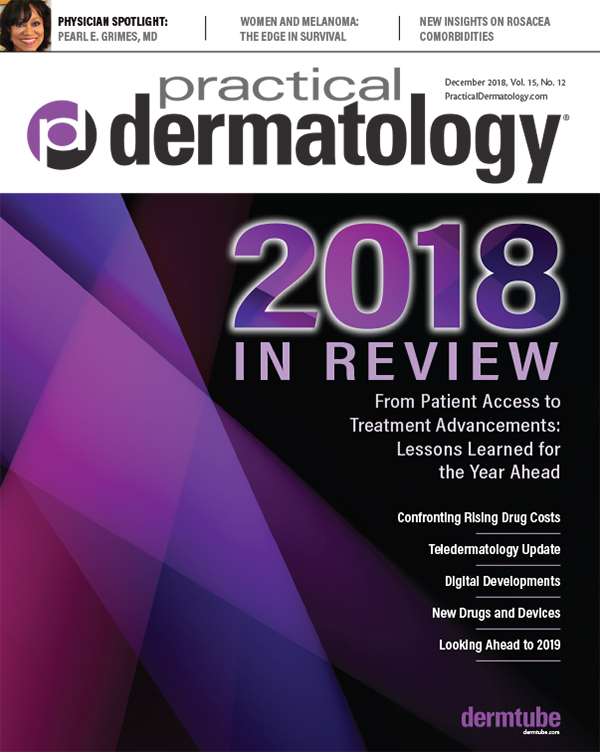 David West, CEO at Proscia, recently spoke with Practical Dermatology® magazine about the company and its offerings. PD: Why do you think there is so much interest currently in digital pathology? David West: Digital pathology is accelerating due to a confluence of global healthcare and technology market trends of which the industry is uniquely positioned to take advantage. The shift to value-based care and a declining global pathology workforce are putting increased emphasis on operational and clinical efficiencies in laboratory medicine, and it's increasingly clear that investments in digital pathology allow laboratories to expand margins and gain competitive advantages. These changes come at a time when long-standing regulatory barriers on the use of images (as an alternative to physical glass and microscope) are coming down. The 2017 FDA approval of Philips's digital pathology system for primary diagnosis is just the beginning. The pathology community is beginning to recognize that physical systems are archaic in an increasingly digital healthcare landscape. Laboratory medicine is already highly competitive, and the laboratories that do not develop digitization strategies quickly will get left behind. Perhaps most promising, though, is the remarkably rapid increase in the world's access to computing power and algorithmic capabilities. At the dawn of a new (artificial) intelligence, we're beginning to see some capabilities that were previously considered to be the exclusive domain of the human mind are no longer so. Much of pathology is thought to consist of highly repetitive pattern recognition tasks that are now addressable, at least in part, by machine-based systems. It's early days, but progress is being made exponentially, and AI's impact on the economics of diagnosis and value to patients and professionals will be impossible to resist. PD: What are some of the specific benefits of digital pathology for dermatologists? Mr. West: Digital pathology and artificial intelligence (AI) open up avenues for dermatologists and dermatopathologists to drive efficiency, output, and quality, leveraging digital workflows to overcome the physical limitations of glass to practice at the top of their license. This has become increasingly important with the increasing number of cases being read by dermatologists and dermatopathologists each year. For example, with digitized slides, dermatopathologists and dermatologists can more easily share images and collaborate with their peers through cloud-based image viewers. This remote access to digitized cases opens new opportunities to grow their practice, from increasing the Technical Component - Professional Component (TC/PC) split business they see to balancing workloads with digital case assignments to satellite labs and readers. Additionally, digital pathology gives dermatopathologists and dermatologists the ability to leverage AI to more efficiently triage and prioritize their increased workflow, saving them time and allowing them to focus on the more challenging, clinically impactful cases. These challenging cases could also be specifically targeted with an AI quality check, or even be automatically sent out for review by an expert without the need for a first-read. Overall, AI can help ensure diagnostic quality by allowing dermatologists and dermatopathologists to see more cases while devoting more time to clinically impactful diagnoses. PD: How difficult is it to convert to digital pathology? Mr. West: Adopting digital pathology at an organizational level has gotten easier in the last few years. It still presents challenges, but the recent regulatory and software advances have led to more meaningful applications, like AI, that add value to the lab. We hear two main barriers to digital adoption from our customers: the justification of the upfront cost in terms of ROI and regulatory approval. Labs that want to invest in digital pathology need to be able to justify the upfront cost and know for certain that the software will drive more value into the workflow, usually by eliminating more mundane tasks. As pathologists account for 40-60 percent of a lab's expenses, every second a pathologist isn't diagnosing is cutting into the laboratory's finances. As scanning costs decrease and efficiencies are realized, the hesitancy to adopt digital pathology because of ROI decreases, too. It's for this reason that Proscia is so focused on delivering workflow solutions, including some enabled with AI, that drive efficiency and open new revenue opportunities. The time for the adoption of digital pathology as a curiosity is over - we're helping labs see a return on their digital investment. Regulations have been catching up with technology, and we anticipate more hardware and software companies receiving approvals and clearances within the next few months and years. PD: How can digital pathology help with the shortage of dermatopathologists? Mr. West: Global collaboration could address the US's 20 percent dermatopathologist shortage1 and in other areas facing shortages. Digital pathology eliminates the geographic silos of pathologists and cases. Experts are located all around the world, and by adopting digital pathology, it brings dermatopathologists together and allows for more expertise to be shared more quickly. Much like the gig economy, digital pathology could also enable a business model where dermatopathologists work for multiple labs on their own time and from wherever they want. This freedom opens up dermatopathology labs to offer additional services, including a TC/PC arrangement, for dermatologists, which is especially attractive for those in remote locations or with limited laboratory access of their own. New AI software is also driving workflow efficiencies and providing an additional layer of assessment that can help dermatopathologists see more cases each day without compromising the quality or accuracy of the diagnosis. Whether this is driven by an AI-assistive technology to prioritize and sort cases or a digital quality check that catches anomalies in tough cases, digital pathology is more than just looking at a slide on a computer. PD: Can you tell us about what DermAI will offer when it is released in December? Mr. West: When DermAI is released in December, it will initially address up to 70 percent of a typical dermatopathology lab's workload by increasing diagnostic confidence and concordance for faster, more reliable lab results; allowing dermatopathologists to focus their expertise on rare and unusual cases; and empowering Proscia's partner labs to unlock cost efficiencies, improve operating margins, and significantly increase revenue streams. DermAI will be available to select organizations, and we encourage any interested individuals and organizations to reach out to Proscia for more information. Bryhali Lotion is available for the topical treatment of plaque psoriasis in adult patients. FDA approval of Bryhali Lotion was based on data from two prospective, multicenter, randomized, double-blind clinical trials that showed that Bryhali Lotion applied once daily for eight weeks was generally well-tolerated with no increase in epidermal atrophy. Data from both trials showed that Bryhali Lotion demonstrated significant treatment success over vehicle as early as week two (Study 1) and week four (Study 2), which continued through 12 weeks (four weeks post treatment).